Prices are intended per day per person with breakfast included. City tax: EUR 1.50 per person per day for up to 7 nights. Excluding children under the age of 14. For stays longer than 7 nights city tax is not included. PRICES FOR A MINIMUM STAY OF 3 NIGHTS EXCLUDING BANK HOLIDAYS AND LONG WEEKENDS. Extra charge for weekend 2 Euros per person per night. Extra charge single room: 7,00 per day per person. Children discount: 3-5 years (50%), 6-10 years (20%). 0-24 months free in double room (2 adults, except august). Discount for 3- and 4-bed rooms. Our Hotel offers three-3bed 'Comfort' rooms, completely restructured, equipped with bathrooms with elegant marbling decorative paint effect and with a large mosaic-tiled shower. They cost 10 Euros extra per room per day. Lunch and/or dinner in Hotel: Lunch and/or dinner in a restaurant that has an agreement with our Hotel, not far away from our Hotel. Menu 15 Euros or 10% discount on the menu Ã la carte (except pizzeria).Price for families of two adults and two children (0-10 years) 45 euro per meal! 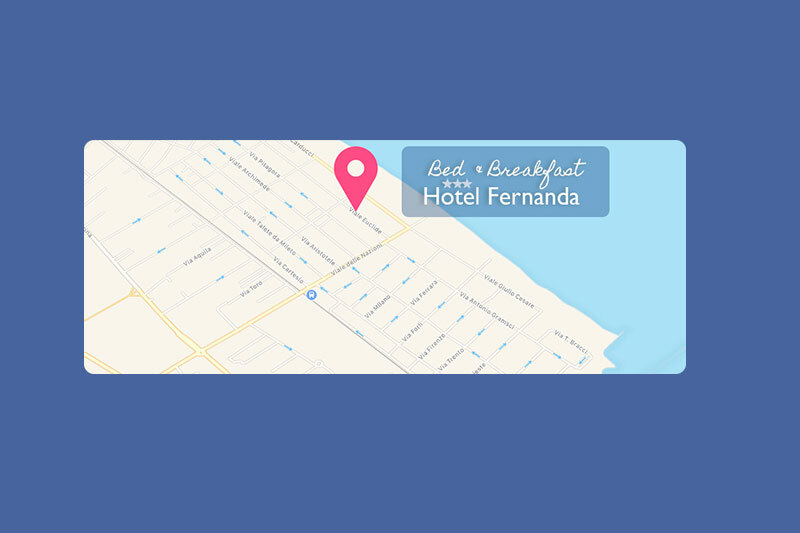 Check-in (room and parking) at 12:00 o'clock. Check-out (room and parking) at 10:00 o'clock.